Shiners (Cleanskins) are unlabeled bottles of wine stock in inventory. These are frequently referred to as Shiners in North America and Cleanskins in the Southern Hemisphere. Before reading this post it is recommend you familiarise yourself with bottling in vintrace. This article details how to label Shiner (Cleanskin) stock produced by a Packaging (Bottling) and labeled at a later date. 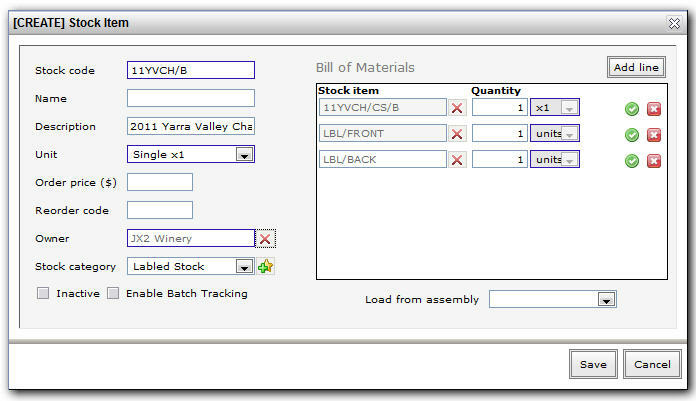 The first step is to configure your stock items with a Bill of Materials (BoM). The assumption is you have already bottled your Shiner (Cleanskin) stock. Step one: you can set up your labeled stock which has a single Shiner (Cleanskin) on it and the front and back labels. Note this stock item has a different stock code and category from the Shiner (Cleanskin) as each stock code must be unique. Notice how the Shiner (Cleanskin) coded as 11YVCH/CS/B is listed in the Bill of Materials (BoM) in the below image. Step two: Now, let’s assume that you have 20,000 Shiner (Cleanskin) stock items on-hand and you wish to label 1,000 of them to satisfy a new order. 11YVCH/B into the stock item field. At this point your materials list should populate, showing how many of each stock item you require. 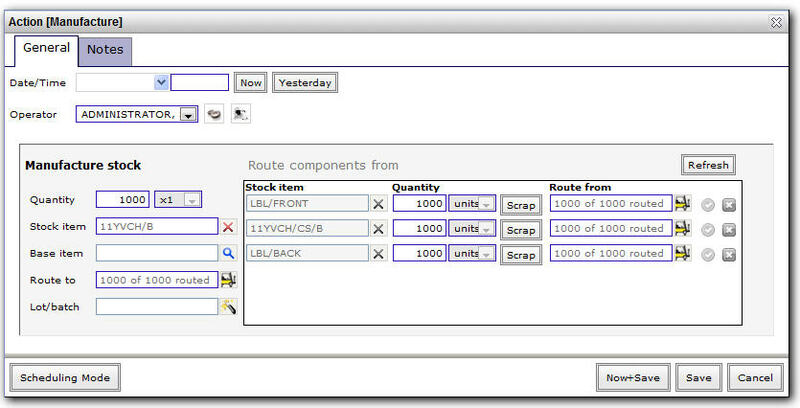 Fill in any pink Route To or Route From fields to indicate where stock is coming from and going to. Now click “Save” and your Shiner (Cleanskin), and the other bottling components will deplete by 1000 while your 11YVCH/B stock will increase.